People concerned about Vancouver’s speculator-driven rise in real estate costs might have been encouraged to see the NDP government impose a special property surtax on high cost houses in last month’s provincial budget. This tax is estimated to raise $50 million in the current fiscal year. Obviously, anything that makes the well-heeled pay a little extra or tames profit-taking in the housing market should benefit the push for increased affordability. Of particular interest is that monies raised by the tax are earmarked for the public schools. After all, our hard-pressed school system can use all the funding support it can get, right? It is useful to pause and consider the underlying facts with property taxes. The BC School Act mandates that all school property taxes raised in the province are to be used to fund public schools. But will the extra money raised in Vancouver, where most $3 million+ valued homes are located, go to the beleaguered District 39? Not a chance. This is where the story gets interesting. 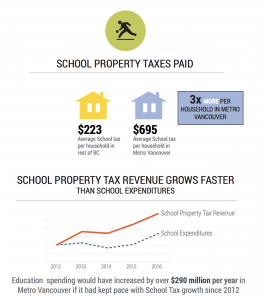 For years Vancouver has raised more property tax than is needed to fund its budget because school property tax tracks assessed property values not school expenditures. What this means is when all Vancouver taxes are counted and the value of homeowner grants to School District residents is deducted, the District brings in more money than is required to fund its entire provincial grant. In 2015, the district raised $447 million in property tax in support of returning provincial school grant payments of $434 million, a surplus of $13 million. The current surplus is likely higher than 2015 because of the past two years’ rapid run-up in city real estate prices. This is a curious because the provincial government controls tax rates applied to the various classes of property and residential rates are specific to each district. The province could tweak rates further down in a revenue surplus district like Vancouver to reduce the take and bring tax receipts back into balance with what is needed. But it doesn’t. 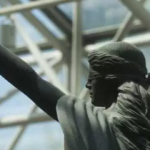 The net result is that “surplus” taxes raised in Vancouver are shipped to other districts around the province to subsidize their budgetary requirements. This is because the provincial government controls and fixes the size of budgetary allocations to BC’s sixty school districts. 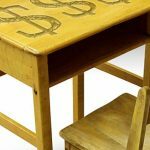 There is no more room for additional property tax dollars in the Vancouver school district budget because the District already overfunds its budget. Paradoxically, layering another property tax onto upscale city real estate will only make the current imbalance worse. Because the overwhelming majority of new surtax revenue will come from Vancouver, this is very much a revenue measure that singles out the city, its school district and its property owners. How can this problem be solved? Returning property tax control to each district may sound like a solution, but it is not. Property tax assessments are unevenly distributed in this province and giving control to local districts would be a retrograde step, one that would move BC in the direction of many American jurisdictions where the gap separating rich and poor school districts is wide. For obvious reasons, we do not want a situation where some BC districts can raise new taxes this way and others simply cannot. A real solution would be to abolish property taxes earmarked for school purposes, or at least the residential property taxes which currently account for close to 40% of total property tax receipts. There is no good reason to maintain a tax levy created a century ago when districts lacked access to other sources of revenue. Today, districts have recourse to the provincial budget and the province is responsible for properly funding our public schools. School property taxes on residences are an anachronism that should be done away with. 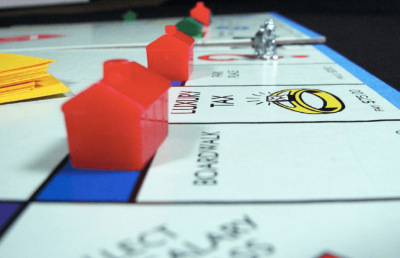 Most, but not all, Canadian provinces still rely on property tax support because changing tax systems is difficult and runs the risk of unsettling local governments and taxpayers. Nonetheless, BC has an opportunity to break new ground here in efforts to reform public school finance. Another real benefit in this proposal is that it could allow local governments in Vancouver and elsewhere to access tax room for other priorities. Our local governments are perennially starved for funding to support important transportation initiatives or the development of low cost housing. Both are key to the development of livable and affordable cities. Property taxes used to be a keystone of public school finance in this province. Now they are an important revenue base held hostage to an antiquated system. The province needs to accept its responsibility for fully funding all schools equitably, and local governments need the revenue tools to fix urgent problems that threaten urban affordability and livability. Both problems could be addressed through this needed reform of the school property tax system. John Malcolmson is an IPE/BC Fellow and was formerly the CUPE K-12 sector research analyst.